and the benefits of massaging the face! The benefits of facial massage using stones are being discovered by women and men (whether or not they admit it), and have been understood for centuries. Most agree that easing the fears and anxiety associated with everyday life greatly impacts the quality of life, as well as our outlook on the future. And that's exactly what face massage provides! The therapist will create a very peaceful environment for the massage. But, the most important part is for the client to shut off the brain in order to deeply relax and release tension. In the perfect environment, the massage room should be quiet, comfortable, uncluttered and serene. Relaxing music should be playing and the use of essential oils or aromatherapy may be offered, or suggested for the session. 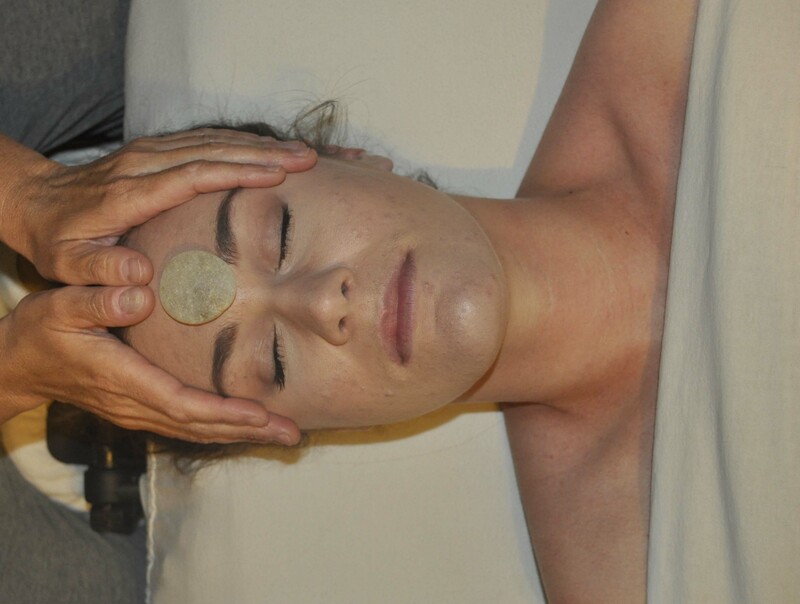 During the massage, the focus for the therapist is to be consistently present with you, the client, and to utilize various relaxing massage techniques using smooth massage stones on the face. He/she may make circular motions with the stones on the face, resting them in specific areas like above the eyebrows or below the eyes. He/She may cradle the entire head to promote a feeling of security and well-being. The therapist may also use aromatic steam on the face to help the client relax and encourage deep breathing after cool facial stones are used. This DVD, Cool Lift Face Massage, teaches more about the facial muscles, how to use cool stones on the face, benefits and techniques of the face massage, and the tips that help make the stress melt away from the tension-filled facial muscles. In addition to massage, you can learn about other facial exercises and natural solutions for wrinkle free skin to share with your clients. Lifecell wrinkle cream is an amazing facial cream that reverses the damage caused by the sun and visibly improves the structure of the skin. It also eliminates the appearance of wrinkles and fine lines, making the skin firm and improving elasticity, providing a beautiful complexion. This cream, in addition to facial massage, can help rejuvenate the face, and refresh your skin's appearance.